In search engine queries, I noted someone required information on the Felling colliery disaster. I was born in Felling in 1927 and there is a memorial stone in Heworth church yard to the 92 men and boys including two boys 7 and 8 years of age who died in the explosion of 1812. I moved from there in the 1960s due to pit closures and came to North Staffordshire. The last time I saw the memorial it was suffering from erosion. 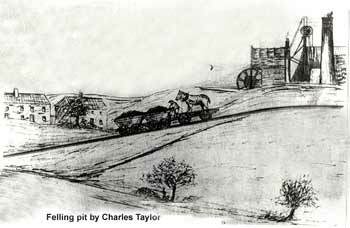 On 25th May 1812 there occurred the first great colliery explosion for which we have anything approaching really accurate records. It was, moreover, a disaster of historic importance, for its aftermath marked the earliest attempt of any properly co-ordinated movement to enlist public opinion in the service of mine safety and to arouse scientific interest in the cause of accident prevention. The key figure in this was the Reverent John Hodgson (1779-1845), then the incumbent of the parish of Jarrow and Heworth, to whom fell the task of comforting the bereaved and burying the dead. 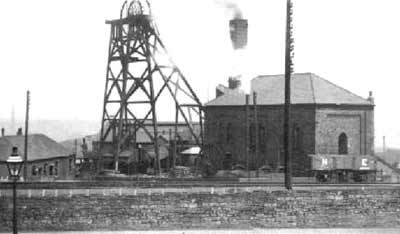 Felling Colliery, situated between Gateshead and Jarrow, was the property of John and William Brandling. Two shafts were in use: the William Pit standing on a small hill, and some 550 yards away, the John pit. It was here that the explosion first made itself known at about 11.30 am. A fire broke forth with two heavy discharges from the John pit, which were almost instantaneously followed by one from the William pit. A slight trembling, as from an earthquake, was felt for about half a mile around the workings; and the noise of the explosion, though dull, was heard to three or four miles away. Immense quantities of dust and small coal accompanied these blasts, and rose high into the air in the form of an inverted cone. Around the colliery itself a shower of wrecked corves, pieces of timber and small coal fell in all directions. The tops of the headgear of both shafts were destroyed, the pulleys at the William pit were completely blown out. The wooden frames were set on fire, though luckily the winding pulleys of the John pit - which were slung on a crane outside of the blast - remained intact. It was up this shaft that those who survived were wound to safety about half an hour after the explosion. Altogether thirty-two men and boys were brought to bank. A fresh westerly wind gradually dispersed the huge cloud of coal dust, which for a time had caused in Heworth 'a darkness like that of early twilight'. It fell as a black snow, covering the roads so rapidly 'that footsteps were strongly imprinted in it'. Anxious relatives and friends rushed towards the colliery, the pitmen's wives, as ever on such tragic occasions, experiencing a deepening foreboding that many of their number were already widows. By noon all the known survivors had been drawn from the pit and volunteers stood by to descend. The accident had occurred during the relief of the foreshift by the backshift and therefore the death toll it was realised only too well, was likely to be abnormally high. In fact the explosion already the most devastating which had yet blighted any British coalfield, though the rescuers were still ignorant of its terrible extent. At 12.15 nine miners bravely descended the John pit. Unfortunately the men were able to make very little headway. The workings were foul with afterdamp and reluctantly the explorers had to retreat to the pit bottom to ascend. Five had reached the bank safely and two were in the shaft when the mine exploded a second time. The men on the rope felt an unusual heat serge past them, but the blast lacked enough force to dislodge them. Their comrades below 'threw themselves on their faces and kept firm hold of a strong prop' and also escaped without serious injury. One or two further attempts at rescue were made, but no one doubted any longer the utter hopelessness of the situation. There was simply no question of being able to penetrate those fiery workings to any distance. Nor was it likely that anyone else could have survived the poisonous gases produced by the explosion. On 27th May both the shafts were sealed in order to extinguish the fire and it was only some six and a half weeks later, on 8th July, that the melancholy task of recovering the bodies began. On 19th September the bodies had been recovered and the ventilation restored. The Felling disaster had claimed ninety-two victims including two boys aged seven and eight. From now on the Reverend John Hodgson was determined to fight apathy or ignorance and stir up public concern for such wanton loss of human life. Through his persistence on the 1st October the Sunderland Society was formed with some noble supporters on the committee and had within its ranks the varied experience of local clergymen, doctors, mine owners and viewers. Among these also was Dr W.R. Clanny (1776 - 1850) who had been conducting experiments since late 1811, or early 1812 in his attempt to produce a safety lamp, and George Stephenson the father of Britains railways. and most famous of all, the help of Sir Humphry Davy (1778-1829). The point to be established here is that a safety lamp of some kind was destined to make its appearance. In this focus of both practical and theoretical science on the need for such a lamp, the great disasters, culminating in Felling, undoubtedly played a part. Davy's, Clanny's and Stephenson's 'Geordie' lamps, all now fitted with gauze, were the fruits of the requirements of growing industriaism and the resources of scientific inquiry.